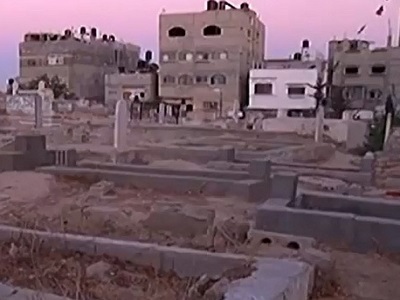 The Martyrs’ Graveyard, Nuseirat Refugee Camp, Gaza. The houses in my old refugee camp felt enormous. My neighbors’ homes had grown into strange dimensions because they had to make use of every inch of available space out of desperation. My old house stood still and unbending, vacant of glory and burdened with memories. It was no longer mine – my father had sold it shortly before he passed away. He had grown to be very poor and obsessively worried about the future. My father hailed from a school of thought of adaptable ideology. At times, he was a communist, a Nasserite or Arab nationalist. Other times, he saw homegrown Islamic movements as an authentic response to imperialism and the decadence or Arab elites. But he was committed to being an ardent cynical, despite occasional gushes of hope. Looking around, the faces seemed familiar but distant. A band of kids followed me through the heaving streets. “Welcome. How are you?” shouted one with a distinct Arabic accent. It sounded cute and funny. I smiled. They had mistaken me for an ajnabi (a foreigner). Despite my insistence that I was from this very refugee camp, I increasingly felt I was stranger. I don’t know why I get bewildered feelings every time I am back in the Middle East. I only refer to the Middle East when I write in English. In Arabic, it is ‘al-watan al-Arabi’, the Arab homeland. We were taught this as children, and knew of no other reference but that. Among Arab friends, I sound juvenile when I say the ‘Arab homeland’. No one here makes that reference anymore. My generation was taught by a generation that experienced the rise of Arab nationalism. They were exposed to a unique discourse of terminology that was meant as an Arab retort to imperialism, an antithesis to the corruptible traditional Arab rulers, of sham kings, overfed emirs and counterfeit leaders. Some of my Gaza neighbors fought alongside the Egyptian army. My father fell wounded, alongside his Egyptian comrades. In 1967, he crossed Sinai, defeated, in the back of a haggard army truck while carrying dead and wounded Egyptians and Palestinians. Back then there was little distinction between them and there was no need to emphasize that they were brothers in arm, or anything of that sort. They were Arabs, who fought Zionism and imperialism until the last breath. The scattered army boots on the blistering sand of Sinai was a trademark of that painful defeat, but no one could ever tell who the boots belonged to: a university student from Alexandria, a laborer from Khan Younis, or maybe even to my father and his peers. But then things changed. The Egyptian border police became impatient and rude. I always dreaded crossing though the Egyptian border when I was young, but I had no other option. Gaza was entrapped, as it is today, and Egypt has historically been a lifeline that was often severed for one reason or another. My last visit following the Egyptian revolution was meant to be different. I thought the revolution would correct that aberration that has afflicted inner Arab relations. That it would once again remold a distraught Arab discourse. That it would bring Egypt back to the Arabs after decades of political loss and cultural dissolution. Over two years have passed since the revolutions started, and the discourse is as fragmented as ever, if not even more confused. The three Gaza students who joined me on the way to Egypt were asked to go back to Gaza by an annoyed intelligence officer. No reason was given. My protest on their behalf would have cost me dearly except that my American passport caught him by surprise. “The ink on their student visas was not clear enough,” he explained impatiently. Brazenly, I responded in English. It is a trick I use at Arab airports and border crossings when I feel that I am not getting enough respect for simply being an Arab. I blathered something about human rights, freedom of movement and other drivels that I knew full well he couldn’t understand. He looked a bit shaken and asked for a few minutes before making his final verdict. Miraculously, the visas on their passports seemed suddenly readable and were allowed entry. What happened to the Arabs? Have they always disliked each other with so much passion? Those of us ‘lucky’ enough to have western passports can tell many stories of how respect in Arab countries, in our own homelands, often hinges on the color of that small document. My first visit to Iraq via Jordan over a decade ago coincided with the return of Iraqi pilgrims from Mecca. They had all lined up before a dirty booth that was manned by two Jordanian officers demanding a bribe. I was ushered in quickly with a heap of foreign passports belonging to my delegation as they waited in a VIP room, treated to bitter Arabic coffee. I vividly remember an old Iraqi haj being sent back because his ‘gift’ of half a dozen packs of Marlboros was deemed insufficient. The man actually cried with tears seeping through his handsome white beard. Perhaps passed his eighth decade, he looked exhausted and ready to go home. To reach Baghdad, he needed six more packs of Marlboros. I remember him disappearing in the dark, all the way back to the start of an endless line, befuddled by this injustice. I am befuddled too. I write these lines from a busy western-styled mall in Qatar. All malls here are western-styled, and proudly so. It has been two months since I returned to my ‘Arab homeland’ which unfortunately seems to have sunk even deeper into political despair, unprecedented disunity, and an unmatched sense of cultural loss after a few years of revolutions and civil wars. What worries me about Egypt, Tunisia and all the rest, is that their revolutionaries don’t seem to be at odds with the very entities that have contributed to Arab defeat. They appeal to the very America that destroyed Iraq, and seek French guidance and British handouts although neither of these parties has shown any signs of departure from their old colonial legacies. The cultural invasion here is all but complete. Western globalization is wreaking havoc on fragile cultures that are not putting up much of a fight. Confusion here reigns supreme. Is there a rationale that could explain what happened in the last few decades? How did we go from relative clarity by having a defined, collective sense of purpose, identity, and common aspirations – despite the many failures and defeats – to this overwhelming sense of loss? ‘Where are you from?” asked an Egyptian taxi driver on my recent visit to Saudi Arabia. “I am a Palestinian.” “But your accent?” he inquired. “I live in Washington.””Do you have an American passport?” he asked. “Yes.””Alhamdulilah“(Thank God), he commented with a sense of relief and a smile. He genuinely felt happy for me. I often think of the washed white wall back in my refugee camp. Every evening, plastic chairs that are stacked atop of one another, are brought in, unpacked and arranged in a half-circle. My father’s friends would gather in a predictable order, with the older ones taking center stage. 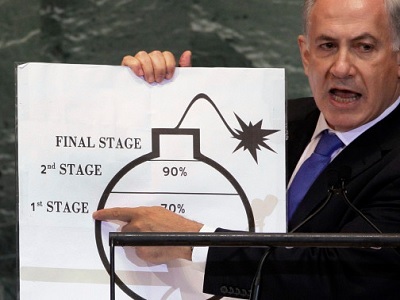 Lively political discussions about Fatah, Hamas, disunity, Israel, border issues, the latest causalities, Arab treachery and such then resume. My father’s place underneath that washed white wall has surely been taken by some other cynical refugee. Despite his cynicism my father tried to figure things out. He explained the world to me in lucid and plain terms. He read Iraqi poetry, listened to Egyptian music and related to every aspect of Arab life. He ‘hated’ the Arabs, yet prided himself of being one. I inherited his skepticism and confusion. This is why I keep coming back, and despite my palpable confusion, I insist on staying hopeful. I enjoy reading your articles and as a fellow refugee can relate so much to them. Thank you. Keep up the good work. I have lived abroad for many years. I am lucky to be able to return to an intact homeland which I very much hope you will be able to do as well, soon. But I can relate to the bewilderment and emotional upheaval of each visit. In the end, roots run deep, as Hamde Abu Rahma says in his book of photos about Bil’in’s struggle against the Annexation wall.